Wi-Fi plays an important, rather vital one in the day to day working of all the smartphones. But for the Android 4.4.4 KitKat devices, same is a bit more true as it is not possible to think about the working of Android device when you are working online especially in the absence of internet connection. And when you are on a Wi-Fi metered connection, you must be very careful about the usage of the Wi-Fi as well. In the situation, it becomes necessary to remain informed of the usage of the Wi-Fi as well. 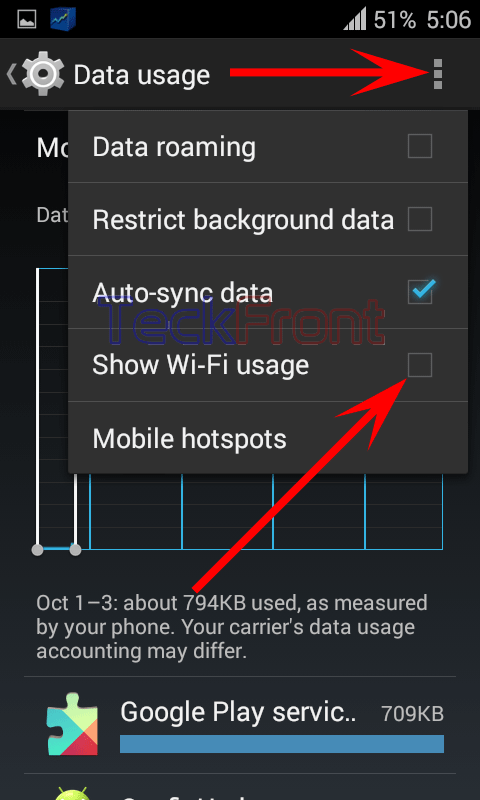 A special feature about the usage of Wi-Fi has been included in Android 4.4.4 KitKat OS which, when enabled, keeps you informed of the usage of the Wi-Fi. To enable this feature, follow the instructions. Command Line: Settings > Data usage – WIRELESS & NETWORKS. 1: Follow Command Line to open up the ‘Data usage’ screen. 2: Tap the ‘Menu’ button / Icon. It will open up a popup menu. 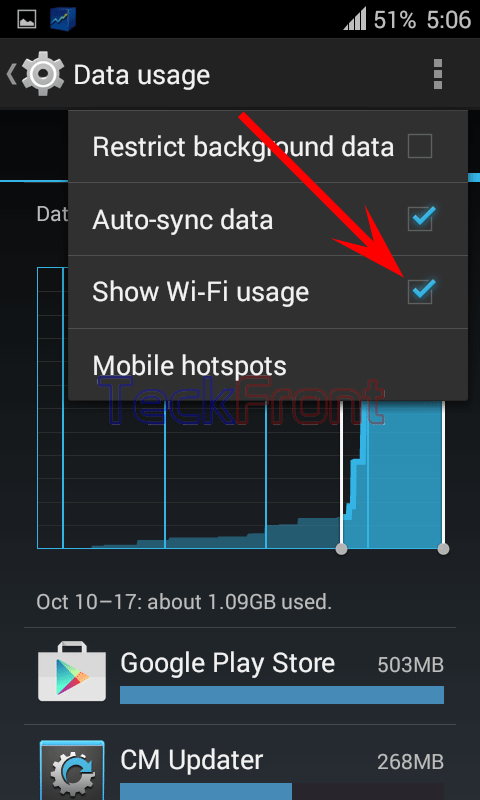 3: See the ‘Show Wi-Fi usage’ is not checked and disabled. 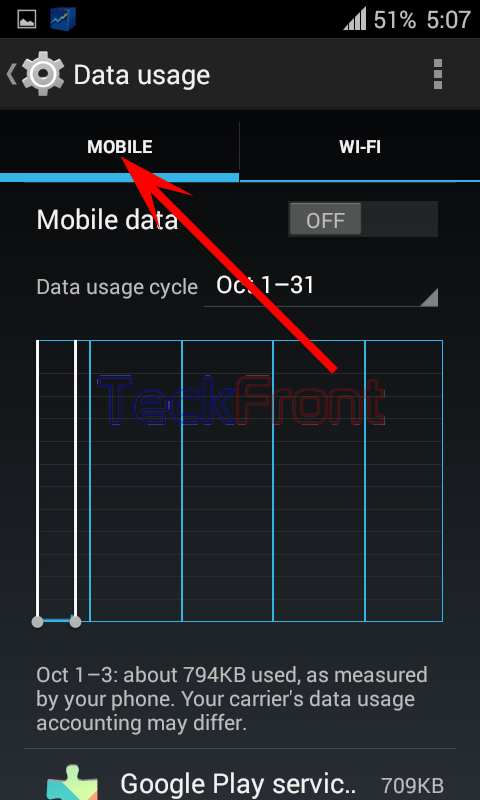 4: Tap the ‘Show Wi-Fi usage’ to check it and enable it. 5: See the ‘Data usage’ screen is changed. The slider below the screen bar is at ‘MOBLE’, i.e. currently, data of MOBILE is displayed. Tap the ‘Wi-Fi’ to switch on the ‘Wi-Fi’. 6: Now, when the ‘Wi-Fi’ is switched on, the data usage between ‘Sep 19 – Oct – 17’ is visible, graphically. 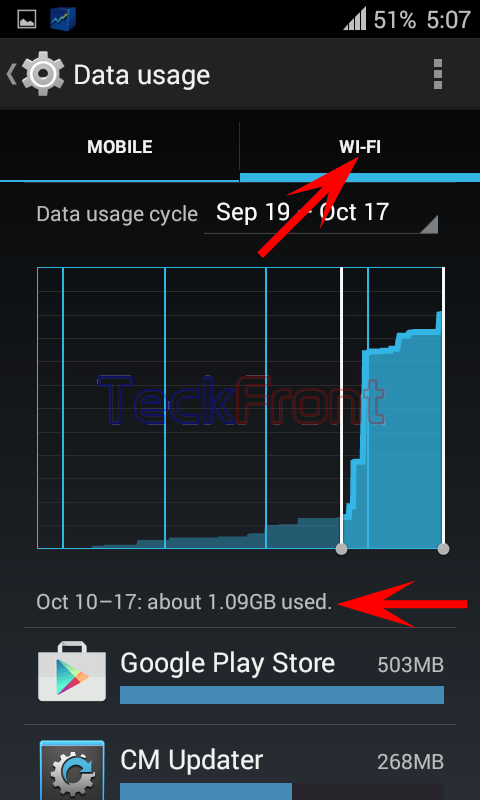 7: Immediately below the graph, the data usage used during the ‘Oct 1 – 17 is about 1.09GB. 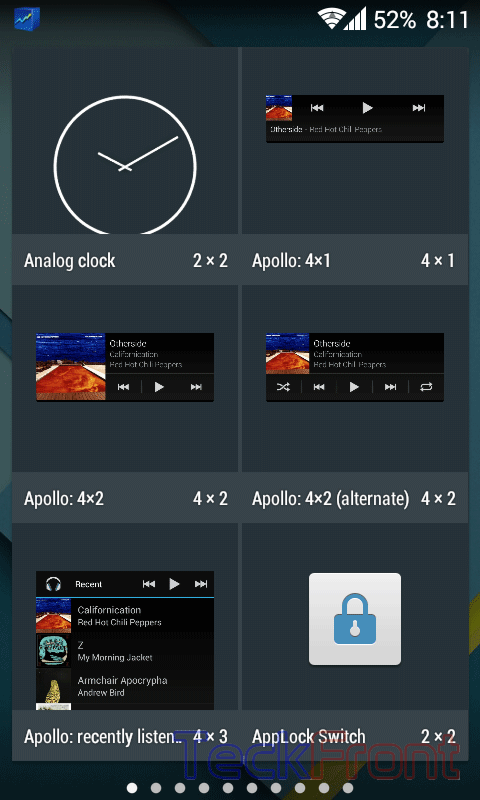 Newer How to See Total Used & Free Internal Storage for Downloaded Apps in Android 4.4.4 KitKat Devices?